I’ve written before about the amazing benefits of giving up meat. I love that there’s a worldwide day to celebrate on October 1st! 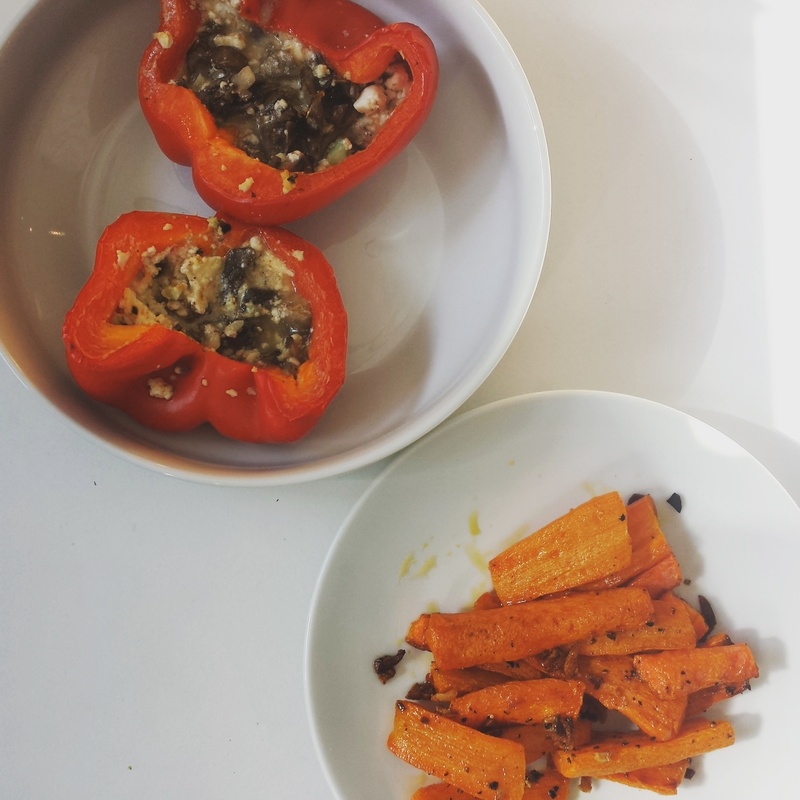 Today I made myself delicious stuffed red peppers with a side of garlicy carrot chips for lunch. I’ve been cooking with peppers a lot this week as they’re currently retailing at 4 for £1 in my local veg market in Dalston!This dish is veggie heaven, and was just me using up ingredients I had in the fridge and experimenting. 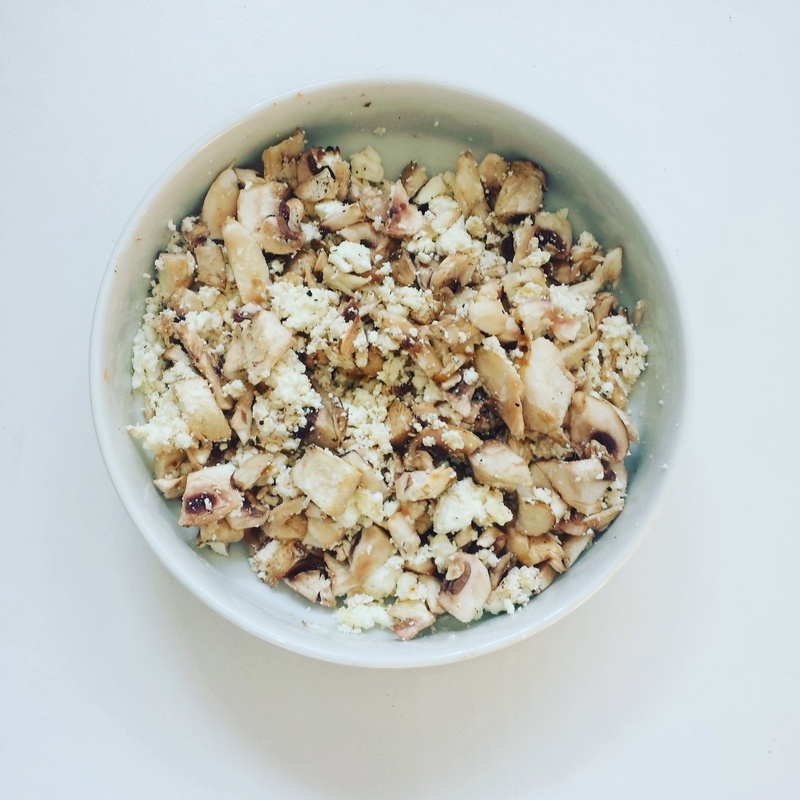 I mashed up half a block of goat’s cheese feta with 2 cloves of garlic, a drizzle of olive oil, pepper and chilli, and a cup of finely chopped mushrooms. Mushrooms are the only vegetarian source of vitamin D, as well as being full of iron and B vitamins and even contain protein. I stuffed the mixture into 2 red peppers. 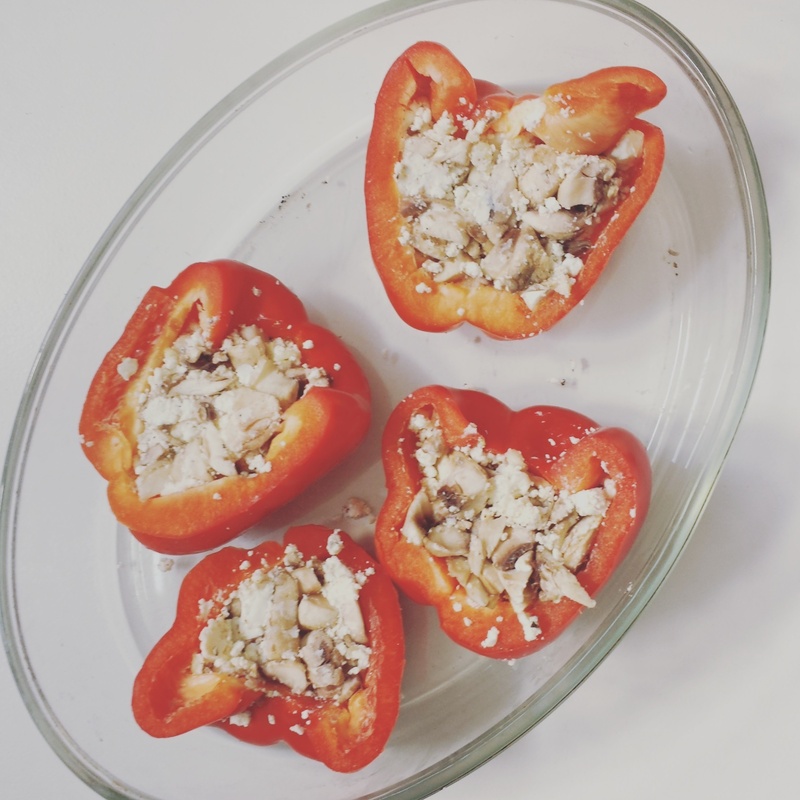 Red peppers (capsicums) are technically a fruit, and really high in vitamin C which is so important for our bodies, helps repair and regenerate collagen, and are a good source of silicon. Amazing for your skin! Garlic has multiple health benefits, including improved blood circulation and improved cholesterol levels. Then I chopped some carrots into chunky chip shapes and drizzled with olive oil, grinding on some pepper and chilli and throwing in some chopped garlic. Carrots are an amazing source of fibre, vitamin A, and have high levels of beta-carotene which acts as an antioxidant to cell damage. Vitamin A is so important for your body- a deficiency can lead to dry skin, hair, and nails. I baked it all at 180c for half an hour. The smell of garlic cooking was almost too good and I ate about half of the carrots before they were done as I couldn’t wait! 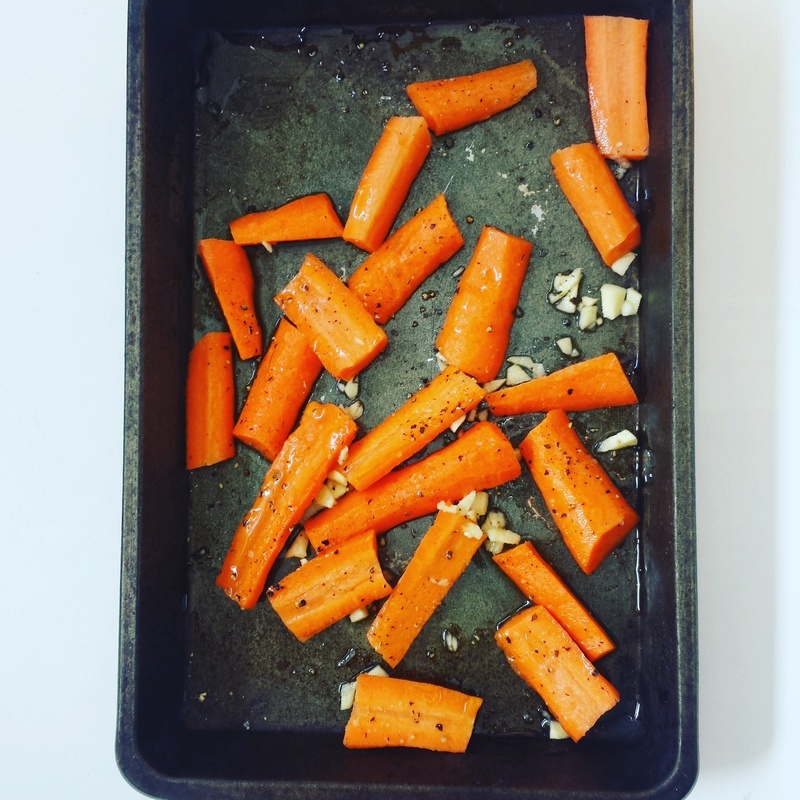 Baked carrots are so sweet they almost taste like candy. The only problem once this came out of the oven was that the mushrooms had seeped some water as they cooked. So I spooned out the liquid by pushing the mixture down and letting the spoon fill with water. I think this could be avoided in future if I fried the mushrooms and drained them before putting them in the peppers. Live and learn! But it didn’t matter- the end result was DELICIOUS. So happy world vegetarian day! Try this recipe out it’s so easy and healthy. Or just bake any veggies you have in your fridge in the oven and season with garlic and pepper. It will be good.